Posted on June 16, 2018 - By Fucosoft | Follow YouTube, Twitter to Get More Information. Fucosoft Video Converter offers a simple way to help users saving videos from YouTube, Facebook, Twitter, Instagram and 1,000+ video streaming sites. But you need first to provide the URL link of the video to process. Getting the URL link of a YouTube video is easy. You just copy the URL from the address bar. 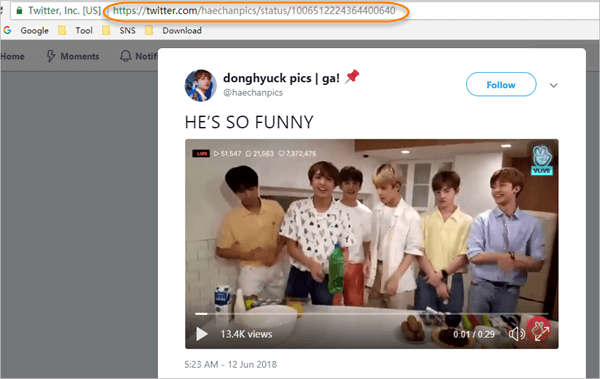 What to do if you want to get the URL link of a video on FB or IG? It seems a little complex for the very first beginners. 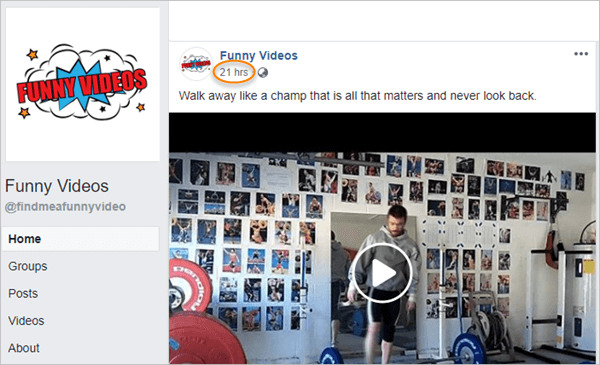 Here in this guide, we’d like to introduce how to copy link of your favorite video in Facebook, Twitter and Instagram. Just follow these simple steps below. Right click on the video you wan to download and choose “Show video URL”. A small pop-up box will appear with the video URL link. To copy the video URL, just right click on the link and choose “Copy”. Click on the published time to open the Facebook post in your browser. Click on the top right sub-menu sign “v” of the video Tweet. Then select “Copy link to Tweet”. 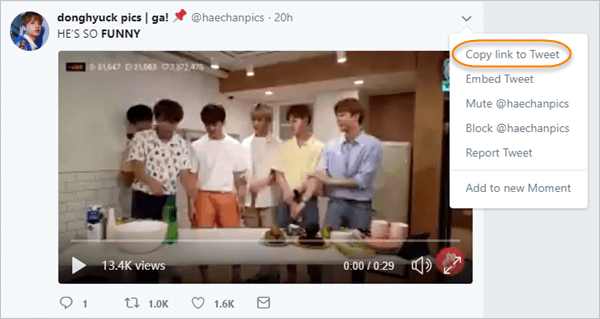 Click on the video Tweet to open it in a new window. Then copy the URL from the browser address bar. 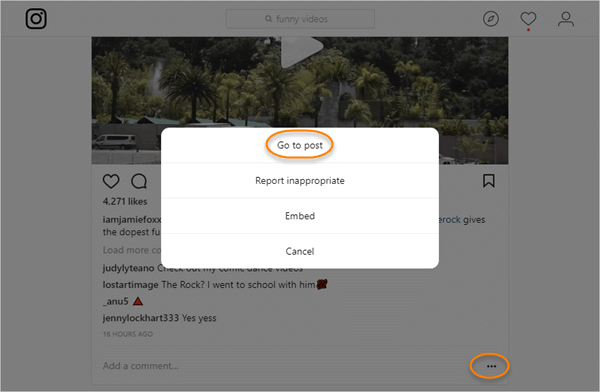 Click on the bottom right sun-menu sign “…” of Instagram video post. A pop-up window will appear in your screen with menu items. Select “Go to post” to display the video post in your browser. Then copy the URL link from the browser-address bar. 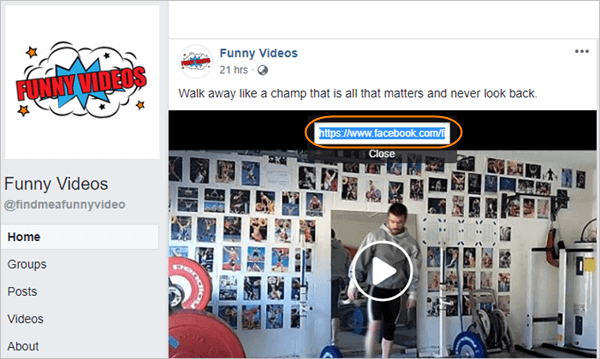 Once you have copied the URL link of your loved videos in YouTube, Facebook, Twitter and Instagram, the next step is to start your video downloads. Fucosoft Video Converter helps you download your favorite 4K/HD videos from over 1,000 sites with click. Plus, you can easily convert the saved videos to compatible formats for playback on TV, smartphone or other portable devices. Download Gihosoft Video Converter to your computer, then launch it and click “Download” section in the top. Click “+Paste URL” in the upper-left corner. Select your desired format and resolution for the downloaded video in the pop-up window. After that, click “Download” to start downloading. The program will show you the download speed and remaining time from the progress bar.